Although you might still be eating Thanksgiving leftovers, we have now officially entered The Holiday Season. It’s time to dust off your decorations, start playing the Nutcracker Suite and begin your holiday baking. If your strings of holiday lights have been around since you were a kid, then it’s past time to replace them. Your old lights are almost certainly strings of tiny, colorful incandescent bulbs. Although they may have been cheap to buy once upon a time, incandescent bulbs use far more electricity than light-emitting diode (LED) bulbs and, as a result, emit more heat which can become a fire risk when draped along greenery. LED lights are also more durable, more versatile and generally longer lasting than the older incandescent bulbs – meaning fewer strings of lights will end up in the landfill over time. 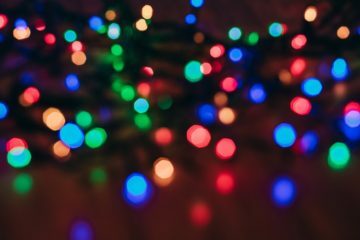 If it’s time to replace or add to your holiday light collection, consider the benefits of LEDs which come in a wide variety of sizes, colors and designs. Even better news is that LED lights are not just for the holiday season! LED technology has greatly improved in the past few years generally casting a softer, warmer light as compared to the harsh, blue light from early-generation LEDs. In fact, a few years ago the Nobel Prize in Physics went to the three scientists who successfully invited the blue LEDs twenty years ago. Because the average LED bulb uses a mere 6-8 watts of energy as compared to its incandescent equivalent of 60 watts, you’ll realize energy savings which can begin paying dividends within the first year. Read more about the differences between LED, incandescent and CFL bulbs here and then consider replacing some lights bulbs/light strings around the house with LEDs!